All year long, Trent Reznor has been telling basically anyone who will listen that there would definitely be new Nine Inch Nails music coming in 2016. Now, with just two weeks left in this accursed year, Reznor has finally gotten around to crossing that particular item off of his to-do list. (It was the item below “buy more black T-shirts,” we assume.) In a press release sent out a few minutes ago, Reznor announced that a new Nine Inch Nails EP, Not The Actual Events, will be released next week. The EP consists of five songs from Reznor and his now-official bandmate Atticus Ross, and, according to Reznor, hews much closer to their current film soundtrack work than the last NIN album, 2013’s Hesitation Marks. “It’s an unfriendly, fairly impenetrable record that we needed to make,” says Reznor. 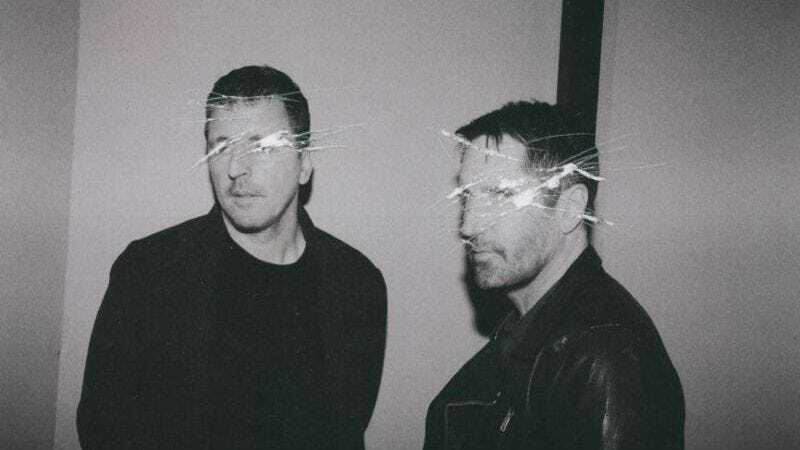 “It’s an EP because that ended up being the proper length to tell that story.” Pre-orders for the album on 180-gram vinyl and a “unique limited digital + physical component version” have already begin on the official Nine Inch Nails website. Those orders will ship on December 23, the same day that Not The Actual Events will hit other digital platforms. Reznor also announced today a limited-edition vinyl reissue of The Fragile, the first in a planned series of deluxe NIN “Definitive Edition” reissues. The new edition of the record comes alongside The Fragile: Deviations 1, which the press release states “will not be available on any digital services” and includes 37 instrumental, alternate and unreleased tracks from the album, many of them never before released. “As an experiment, I removed all the vocals from the record and found it became a truly changed experience that worked on a different yet compelling level. The Fragile: Deviations 1 represents Atticus and I embellishing the original record with a number of tracks from those sessions we didn’t use before,” Reznor says. “Definitive Editions” of Broken and The Downward Spiral are also currently available for pre-order alongside The Fragile. Those will ship sometime in the spring.